Captain Ernie Prieto called in this morning with an update from the Pronto out of Mission Bay. Today Captain Tiny has a 12 passenger charter fishing offshore and we have LIMITS of nice sized Yellowtail and some Yellowfin Tuna! The Pronto does have some charter dates available. 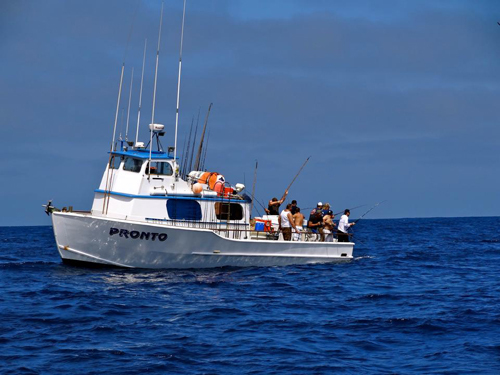 Call Ernie now at (619) 599-8290 to book a charter now!